Painting glass and crystal could be quite challenging. 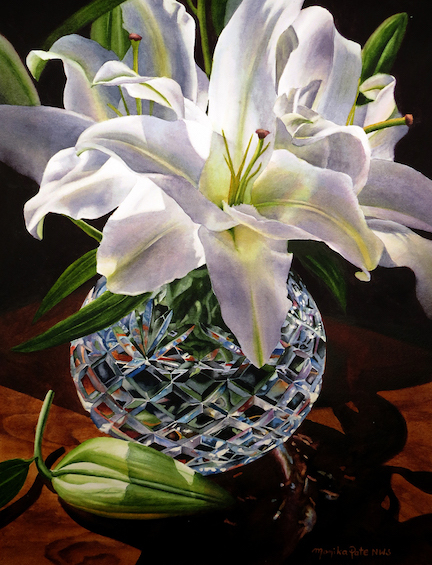 Join Monika Pate to learn how to simplify the process and create the illusion of glass or crystal in your watercolor paintings. The instructor will provide step-by-step demonstrations every day, and explain the techniques. Students will also receive individual attention. Reference materials will be provided , however the participants are also welcome to bring their own resources if they prefer.